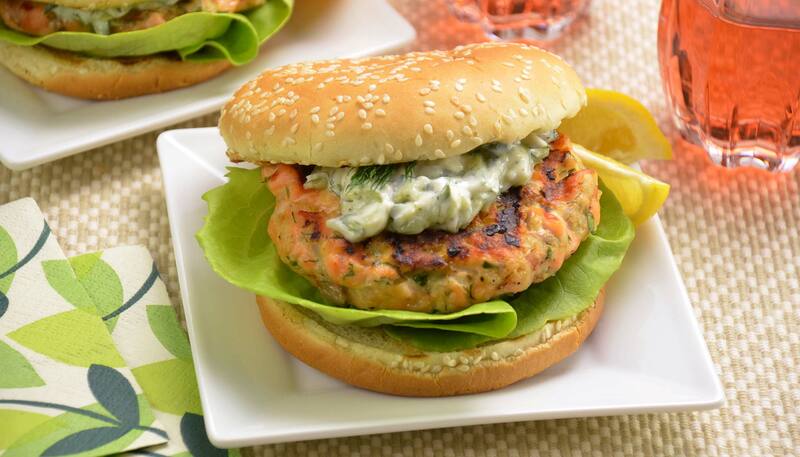 Want to try something a little less heavy this barbeque season? 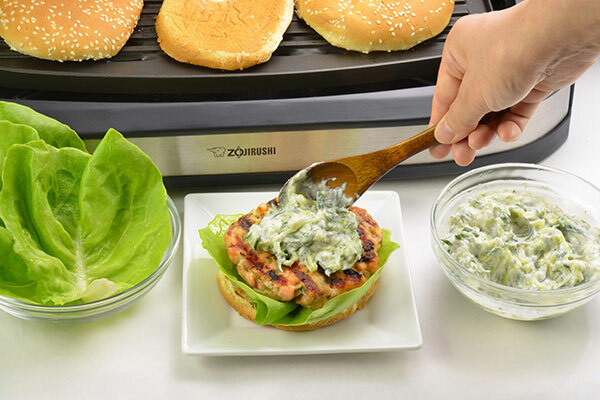 These salmon patties with Tzatziki (Greek cucumber and yogurt sauce) are refreshing yet filling, and easy to cook on an Indoor Electric Grill. 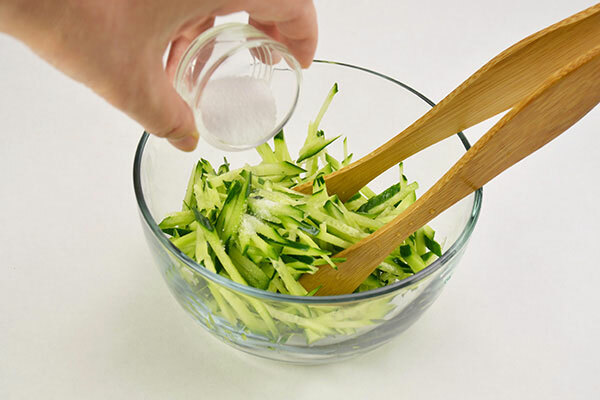 Shred cucumber, combine with salt and set aside for 5 minutes. 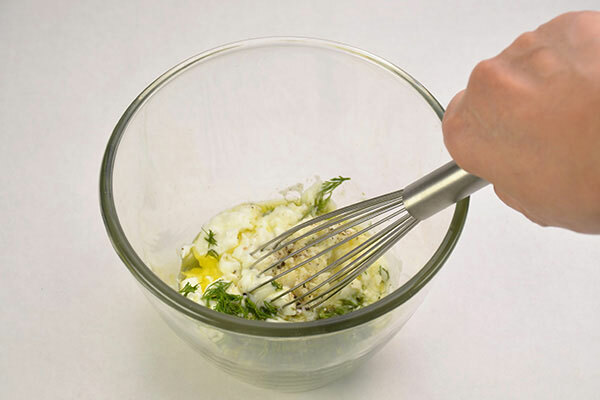 Combine all other ingredients for Tzatziki in a separate bowl. 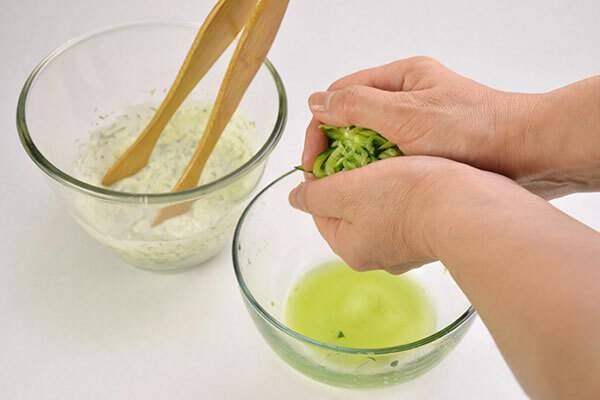 Squeeze water out from cucumber and add to the yogurt mixture. 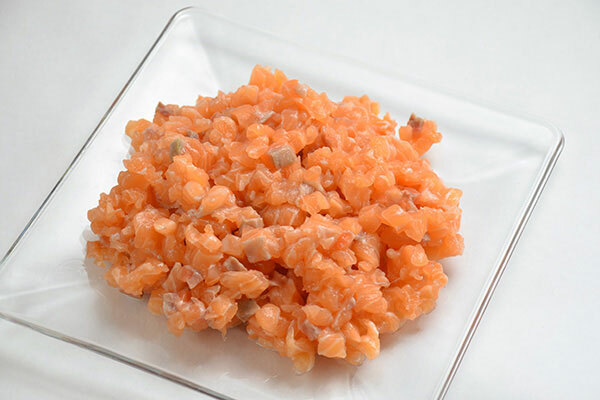 Mix well and keep in refrigerator. 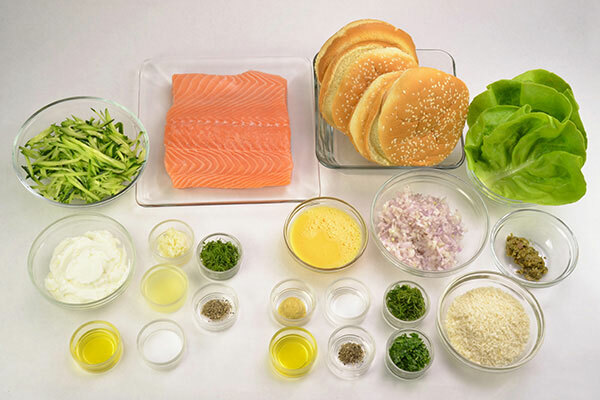 Cut salmon into small pieces and dice again into even smaller pieces. 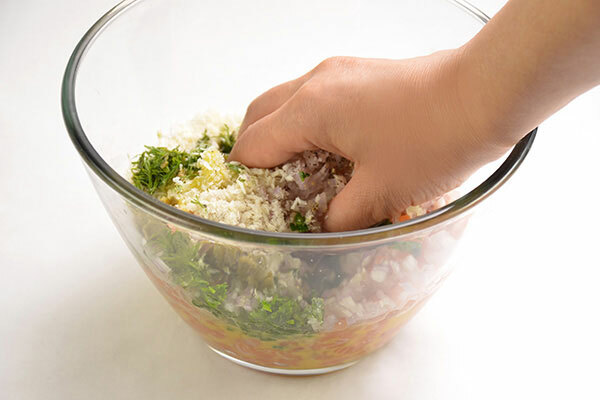 Place all ingredients for salmon patty in a large bowl and mix well with your hand. 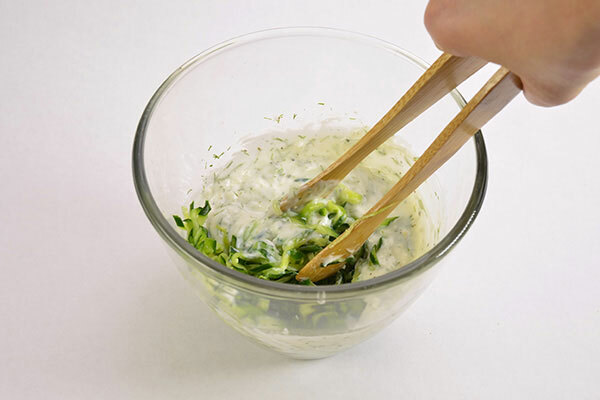 Divide mixture into four 3/4-inch patties. 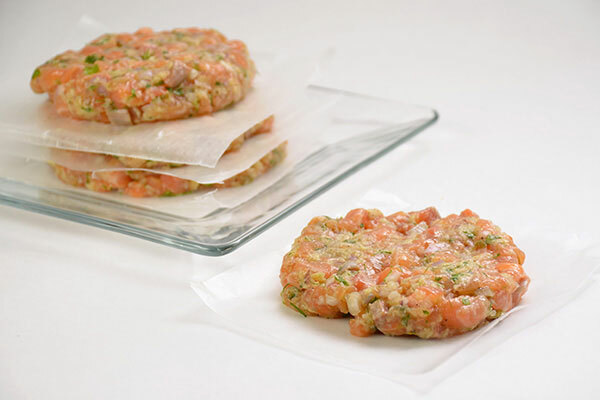 Place patties on the preheated grill and turn the heat down to MED. 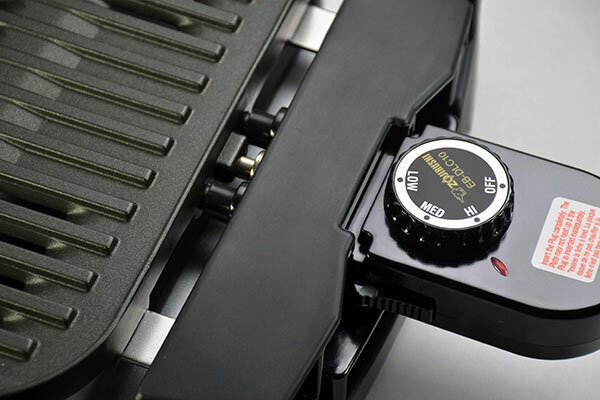 Please be careful of the heated grill. 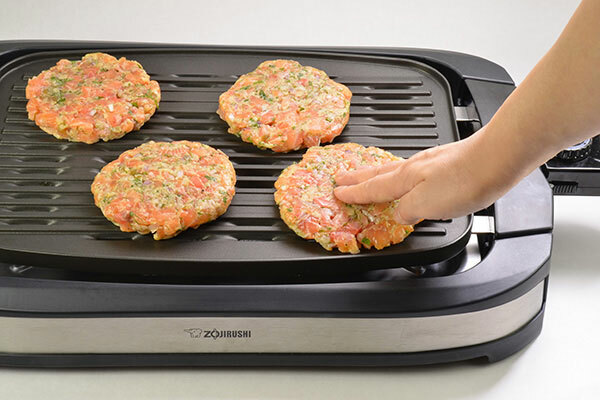 Flip after 3 minutes or when the patty is half-way done. 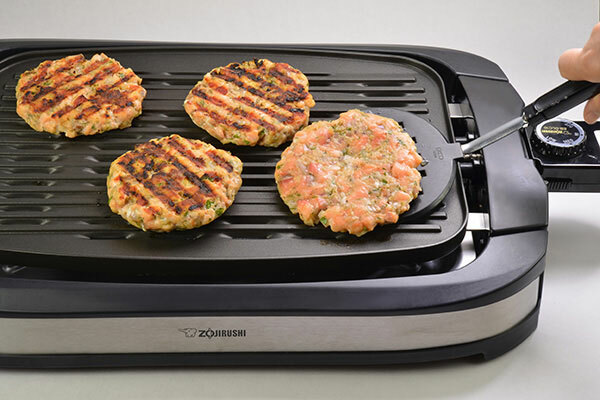 Cook the patties through, or another 3 minutes. 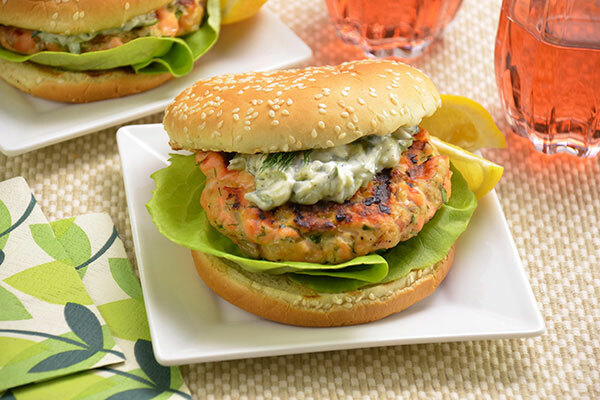 Lightly grill the cut side of burger buns, and assemble salmon burgers with butter lettuce and Tzatziki.